This is definitely one of my favorite juice. Avocados are rich sources of B-complex vitamins, vitamin E and vitamin K.
1) With a sharp knife, cut the avocado in half vertically. Take out the pit if desired or by gently cutting around the pit and Use a spoon to scoop out the pulp. 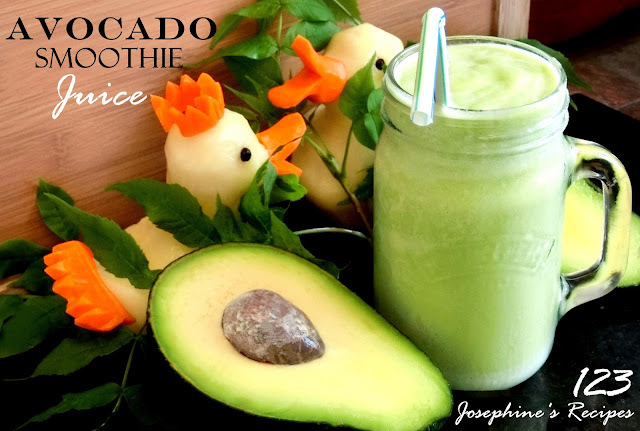 2) Put the pulp of the avocado, milk, sweetened condensed milk, and ice cubes in a blender Puree until smooth to get the juices flowing and the flavors combined.